Short Availability. Mild and "Green" flavors. THE FERN - The Fiddleheads of North America are the unfurled frons of the Ostrich and Lady Fern. They can be harvested for a few short weeks in the early spring. They possess a beautiful, light, "Green" flavor that is most closely resembled by an Asparagus/Artichoke melding. They can also have similar attributes of very light Green Beans. 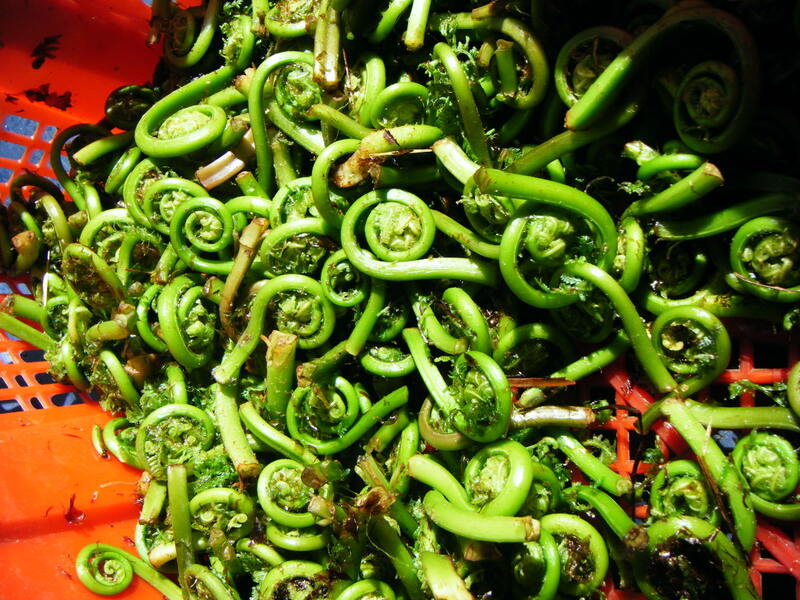 Working with Fiddleheads is a joy in itself.